Create, edit and share videos of your Grand Theft Auto V and Grand Theft Auto Online experiences with the Rockstar Editor. The Rockstar Editor provides a robust suite of recording and editing tools – build a library of captured footage using Manual or Action Replay recording modes, add your clips to the Project Timeline, use Clip Edit mode for new camera angles and fine edits, and bring your project to life. Upload your polished product to YouTube and the Rockstar Games Social Club to share with your friends. Record gameplay footage while on or off mission. Use Manual Recording mode for start and stop recording with the push of a button, or save your most recently played footage with the Action Replay feature. 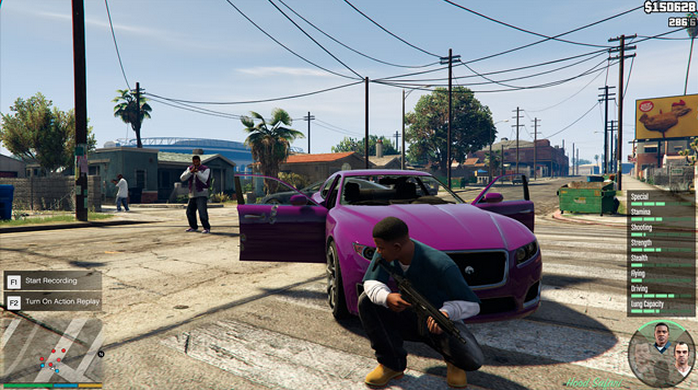 Stage your own scenes and create custom moments in Director Mode. Select from hundreds of GTAV Story Mode characters and citizens across Los Santos and Blaine County to play as in the game world, including animals. Set your location, time of day, weather and much more. Use the Project Timeline to add, arrange, trim and string together multiple clips. 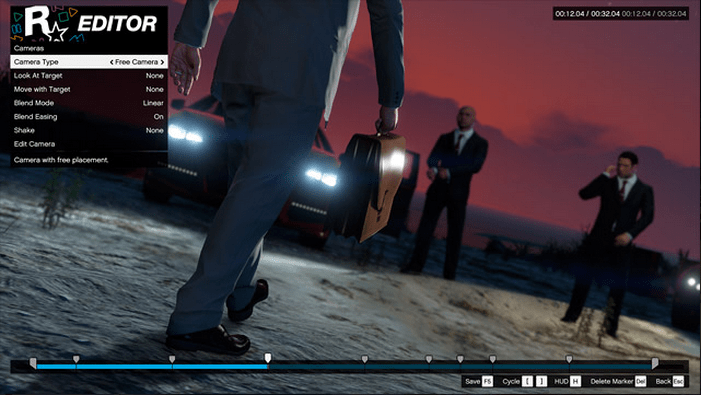 In addition to providing a comprehensive visual of your clip sequence, the Project Timeline lets you preview your clips in full screen, add text and select from a collection of music from GTAV radio stations. Create drama by laying GTAV score tracks over your action – switch between five levels of score intensity to seamlessly change the pace of a scene. Bring your project to life with a deep array of editing options, featuring multiple camera modes including a free camera mode that allows you to move, position, and blend multiple cameras around your scene, camera shake effects, depth of field effects, camera filters, audio mix adjustments, and more.